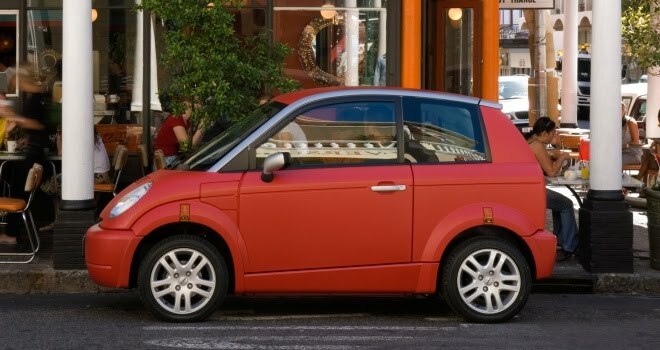 Norwegian electric car maker Think has confirmed that its two-seat City EV will be available with optional 2+2 seating, although it seems we may have to wait still longer to see the car on sale in the UK with seats of any description. The new rear seats will no doubt prove a tight squeeze for adults, particularly for the feet, with the car’s battery pack sitting squarely under the front seats where toes might like to go. 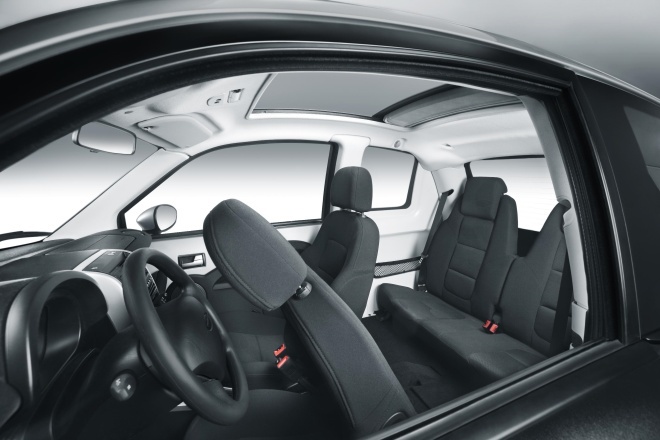 But I’m sure the rear will prove capacious enough for lesser-limbed children, and will seem like a cavern to anyone who’s tried to contort themselves into the rear of a G-Wiz. The Think’s successful crash-test record will also reassure many prospective buyers that the City is a safe enough place to cosset their sprogs. Thinking about the Think reminded me that its name did not appear on the recent list of cars eligible for £5,000 hand-outs come January, under the government’s Plug-in Car Grant scheme. The car ought to be eligible – it’s fast enough, safe enough, and undoubtedly plug-in-able enough to qualify. I asked Think why it was missing, and unfortunately it seems there are yet more delays before the car will ship to British buyers. “Our issue was similar to that of Renault’s – we couldn't commit to start retail sales in the UK prior to 2012’s second wave of grants,” said a spokesman, meaning that general availability will probably slip into the second half of 2012. That’s the schedule Renault is working to for the UK debut of its Fluence ZE electric saloon. Think did add that fleet sales are likely to commence sooner. It’s a shame that Think will take so long to arrive in right-hand-drive form for UK buyers. It’s a nice little electric hatchback, and is likely to substantially undercut the larger and more complicated likes of the Nissan Leaf or Vauxhall Ampera. We’ll all just have to wait and see.